On August 16, 1661, Leonora Christine Ulfeldt, daughter of King Christian IV and half-sister of the reigning king, Frederik III, is arrested and brought to the Tower on unspecified charges. Unwilling to offer potentially incriminating information about herself and her husband, Corfitz Ulfeldt, Leonora eventually forces the team of high-ranking men sent for questioning to reveal the grounds on which she is held captive: She is suspected of complicity in her husband's acts of high treason against the Danish crown. Leonora is sentenced to 22 years of imprisonment in a damp, filthy, rat-infested cell that's lit only by a small mesh-covered window just below the ceiling. Given nothing with which to occupy her mind or hands, she must rely on herself for continued survival. As she agonizes about the whereabouts of her husband and seven children, she suffers through the dark night of the soul to wrestle from nothing a life she may sustain. Her well-trained mind and skillful hands find work, and her reborn faith in God straighten her shoulders for the cross she imagines herself to be carrying. 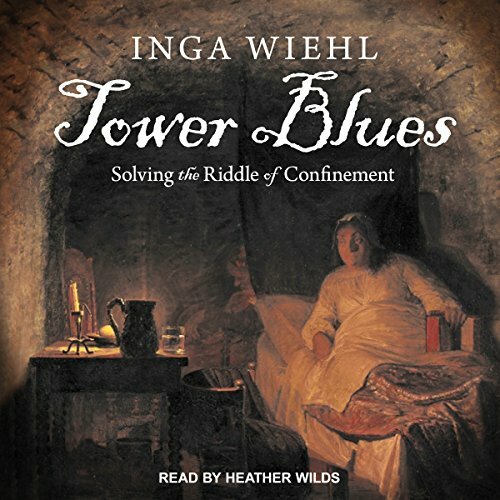 Tower Blues is the story of a woman who, from the beginning and all the days to follow - in castles and in prison - remained interested in the world around her, no matter how sordid or trivial.